This is how LdM Interior Design blogger Petia Stoykova describes the soundwalk she went on with architect Antonella Radicchi at the San Lorenzo Central Market, as part of the Domestic Soundscapes project. 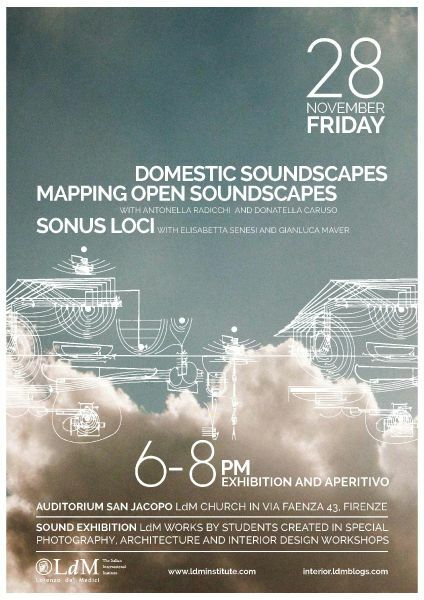 Together with the outcome of the Mapping Open Soundscapes project, the results of the different workshops will be presented in one joint sound exhibition. The data collected during the workshops will also be uploaded on the Firenze Sound Map and then shared with the Open Data System of the Municipality of Florence.